Pest management professionals may help take away some of the stress that comes with bed bug infestations by educating customers on bed bug behavior. 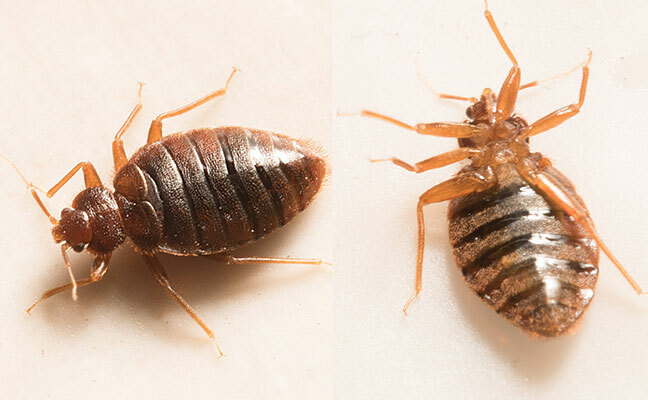 Only thorough inspections will reveal the presence of bed bugs. Refrain from making a diagnosis based on bite marks, and advise concerned customers to seek medical attention. ⦁ Bed bugs bite, but do not spread disease. ⦁ Bite marks may take as long as 14 days to appear on skin. ⦁ Bed bug bites look similar to mosquito and flea bites. ⦁ Bite marks may not appear on some victims. ⦁ Biting bed bugs inject an anesthetic and an anticoagulant, which is why victims don’t know they’ve been bitten. ⦁ Bed bug bites may be itchy; constant scratching may cause skin infections. ⦁ Bed bug bites can cause allergic reactions, such as swelling at bite sites. ⦁ Bed bug bites are best treated by applying antiseptic and by taking antihistamine.